TOKYO, Jan 25, 2016 - After several months of competition, three teams emerged victorious in the Mobile Challenge Asia Pacific (MCAP), an international mobile startup competition. The three winning teams, enTouch, 1Export, and SafeChats, will be heading to Barcelona, Spain in February to compete against winning teams from 5 other related regional competitions including the Arab Mobile App Challenge and the EU Mobile App Challenge in the Global Mobile Challenge at GSMA Mobile World Congress 2016. Professor Paris de l'Etraz of IE Business School commented, "We are excited to support entrepreneurship in the Asia Pacific region and look forward to welcoming the MCAP winning teams at the Global Mobile Challenge in February." 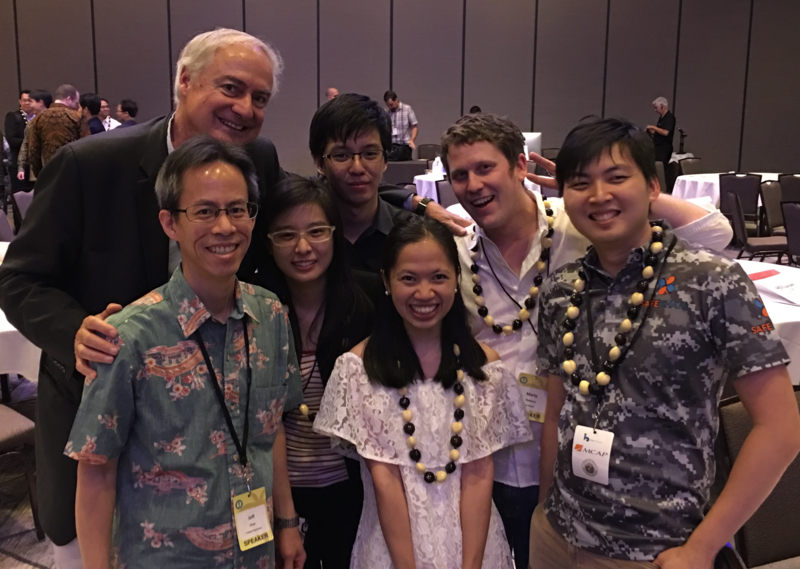 This year's MCAP regional finals were held at the second annual East Meets West Conference in Honolulu, Hawaii. According to Chenoa Farnsworth, Managing Director of Blue Startups, "The East Meets West Conference brought together investors and entrepreneurs from Asia, Hawaii and North America and featured amazing international speakers, deep-dive learning opportunities, and ample networking in a tropical Startup Paradise." The first-prize winner, enTouch, connects pharmaceutical companies to doctors in Japan via online technologies utilizing a syndicated sales team with growth ambitions to be the #1 platform connecting doctors, pharmaceuticals and patients online. The second-prize winner, 1Export, offers a mobile solutions for regulatory compliance and trade that helps small and medium enterprises in the Philippines to export their products conveniently, faster, and more cost-effectively. The third-prize winner, SafeChats from Singapore offers ultra-secure communications, teamwork and privacy with a zero learning curve and instant implementation for small businesses and individuals. The panel of 6 judges who selected the three winners from a field of 27 finalists included Maya Rogers, CEO of Blue Planet Software, Jeffrey Char, Founder & CEO of J-Seed Ventures; David Dacus, Founder & CEO of HitPlay; Brett Brewer, Co-Founder & Managing Director of Crosscut Ventures, Rob Robinson, Founder of Hawaii Angels; and Bee Leng Chua, Executive Director of HiBEAM. The overall vision of the MCAP competition is to create opportunities for employment for the youth; to increase dialogue between developers and industry partners; and to help evolve and accelerate innovative ideas and concepts into viable businesses. Since launching in 2014, more than 1000 teams from Japan, Singapore, Thailand, Philippines, Taiwan, China, Indonesia, Korea, Malaysia and Hawaii competed in the contest, developing mobile apps that address specific needs in education, healthcare, finance, and entertainment.